Your holiday will only be perfect when you have amazing place to stay. For your information, finding villas for rent in Bali in incredibly affordable price with eminent service is easy. Imagine chilling in your own pool during the hot day, surrounded by green walls that make your little paradise secluded from the outsiders, does it sounds good? This exclusive freehold real estate with an amazing ocean is located in a chic neighborhood of Jimbaran. This gorgeous villa features 3 spacious and cozy en-suite bedrooms with 4 classy bathrooms. It is fully furnished and decorated in a great taste with expensive furnishing and interior which provides finest living standards with great luxury. This property generously offers 3 maid rooms , 2 levels , AC , 2 living areas , 2 dining areas , kitchen , 7 x 5 m of swimming pool , 2 gazebos , storage , water source from PDAM , electricity 16.500 W , internet , phone line , garage for 2 cars , security post and a big garden in the house. This is a remarkable luxurious option available for sale in one of the most prime area of Bali. Ideal to buy as an investment and a personal home at the same time. Just 10 minutes from the beach, clubs, market, bars and restaurants. Hardly 20 minutes away from the international airport. This amazing 180 degrees ocean view freehold property of 1.8 ha is a once-in-a-lifetime opportunity for development in the green and peaceful 'fruit valley’ in the hills above Lovina. The biggest plot (120 are) are terraced rice fields with unlimited possibilities for construction and landscaping. This magnificent terrain is already zoned for tourism or hotel development. 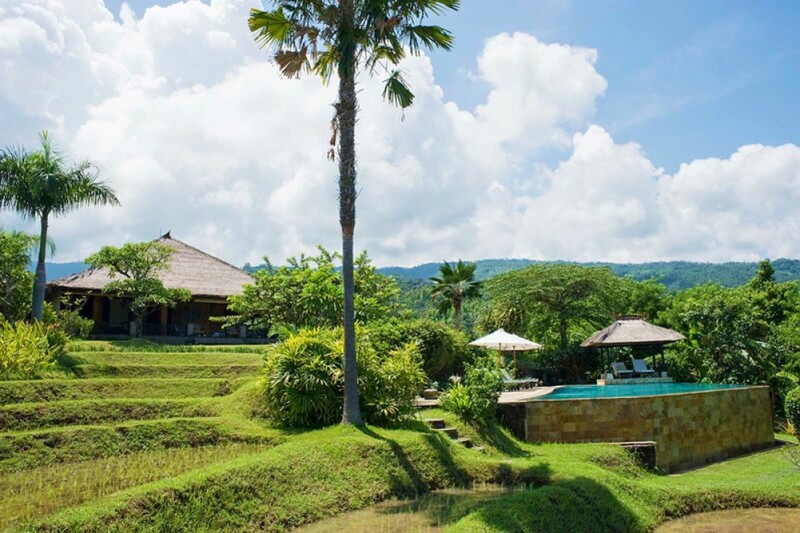 On the highest part (60 are) of the property the owners have already built a marvelous Balinese inspired villa of 300 m2 with three bedrooms and ensuite bathrooms, a pantry, open air living room, beautiful dining room and a spacious veranda on all four sides. They also built a separate same-style guest house (145 m2) with two bedrooms, a connecting bathroom, pantry and a veranda on three sides. In the beautiful landscaped and terraced garden with lotus ponds you will find a separate kitchen and laundry, garage, storage and staff rooms. On a lower terrace there is a large 20x5/6m infinity pool with spacious sundeck, pool shower, two gazebo’s and an amazing ocean view. Facilities include a fiber optic internet/tv connection, 24/7 water supply, parking place for at least 4 cars and underground water storage tanks. 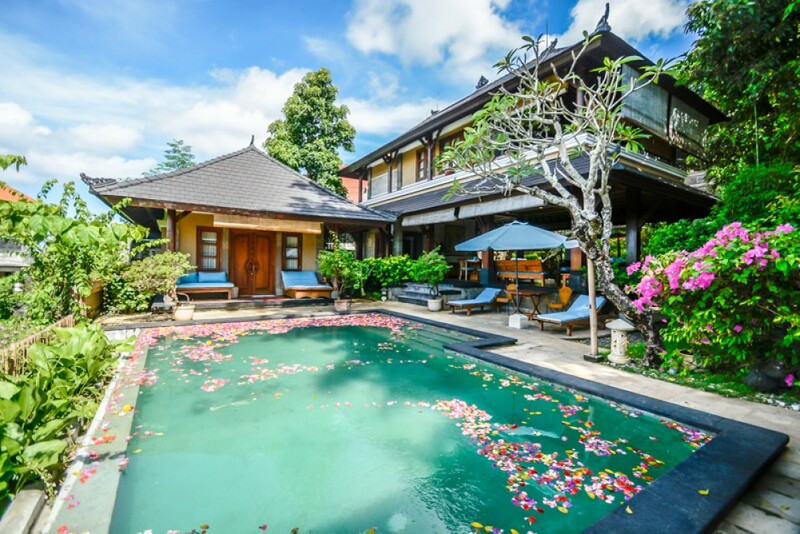 The complex comes with a 'pondok wisata' which allows the villa and guest house to be rented out commercially. It received only 5-star reviews on TripAdvisor. The property is a real hidden gem situated 300m from the tar road and offers guaranteed privacy, though it’s just a 10 minutes drive from the beach, shops and restaurants in friendly Lovina. 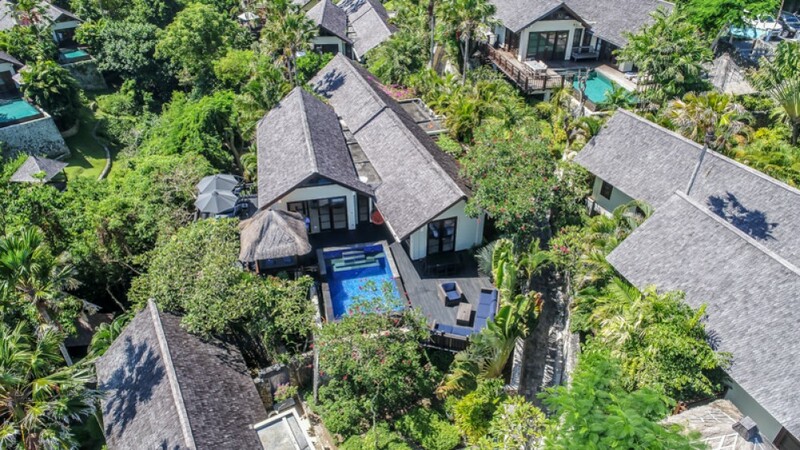 This luxury freehold private ocean view cliff top real estate complex is located in a quiet and peaceful area of Ungasan. This marvelous villa features 4 spacious, cozy en-suite bedrooms with classy bathrooms. It is fully furnished and decorated in great taste with expensive furnishing and interior which provides great comfort and living standards. This property generously offers 2 level , AC , 2 living area , dining room , kitchen , 6 x 3 m of swimming pool , 2 gazebo , storage , water source from tank , electricity 7.700 W , generator , garden , internet , phone line , relaxation pavilions , complex 5-stars luxury facilities of private spa , cinema room , gymnasium , private wine cellar , private butler , staff quarters , parking and security in the house. This is indeed a remarkable option available for sale in a prime area of Bali. Ideal to buy for investment as it can generate good returns as a rental home. Just 15 minutes away from the beach, easy access to the market and the other famous attractions.